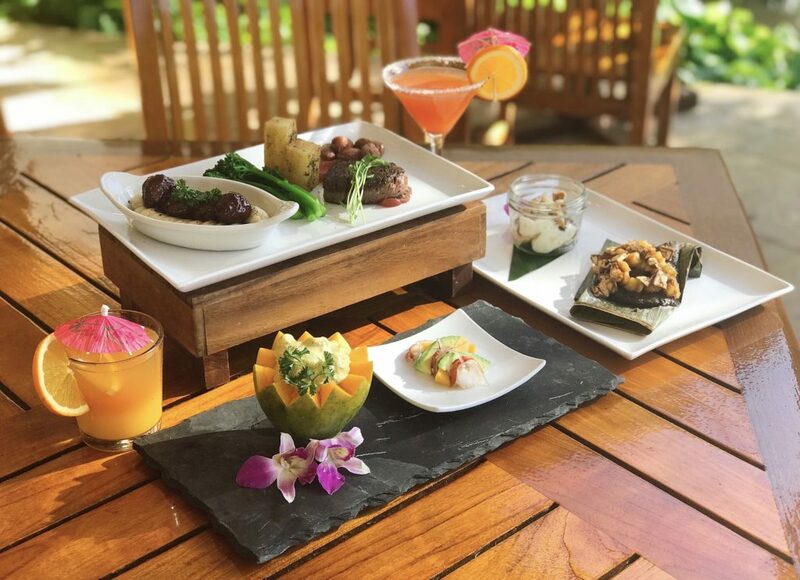 A share plate at ROCKsalt, Sheraton Maui Resort & Spa’s newest restaurant concept. Courtesy photo. 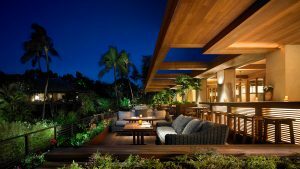 Sheraton Maui Resort & Spa’s newest restaurant concept, ROCKsalt, is going strong in Kā‘anapali. Spearheaded by Executive Chef Lyndon Honda, ROCKsalt opened June 1, 2018 and features globally-inspired share plates, described as playful, flavorful and alluring. 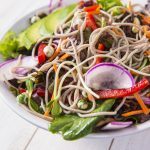 Exotic spices, ingredients and flavor profiles are married with fresh local products from Hawai‘i farms to create craveable, satisfying dishes that excite the palate. “The name ROCKsalt came in thinking about the history and importance of salt across cultures, combined with our resort’s iconic location at Pu‘u Keka‘a (Black Rock). In addition to being used to flavor food, salt was traditionally used for commerce, and is viewed as sacred in many cultures. We took inspiration from the vibrant Hawaiian sea salts that are signature to the islands, like black lava salt and red alaea salt. It’s an ingredient that represents a harmonious blend between land and sea,” explains Executive Chef Honda. Guests of the restaurant dine on eclectic dishes, like sweet potatoes with pickled mustard seeds, crème fraiche and baby arugula; kombu-cured Hawaiian Kanpachi with carrot dashi, pickled limu, lotus root, cucumber and radish; sizzling shaking beef with Asian greens, pickled radish, sweet soy and fried garlic; and rotating specials like house-made daily pasta, and porridge and ragout. Sweet plates elevate flavors reminiscent of childhood, like the “nutter butter,” with Arlette pastry, candied pecans, vanilla bean ice cream, dulce de leche, and peanut butter dust; and the poi donuts, with powdered sugar and salted lilikoi caramel. 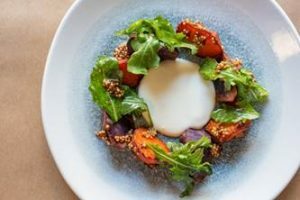 The menu is composed of small plates, large plates, sweet plates and sides, all of which are meant for sharing, paired with a comfortable setting where guests can gather, connect and talk story while enjoying a memorable meal. “Our culinary team has been having a lot of fun collaborating on ROCKsalt’s menu. We hope that locals and visitors bring their friends and family to the restaurant for a lively atmosphere where they get the opportunity to try playful, innovative dishes with a global flair. 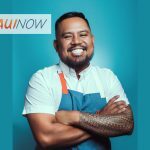 We’re excited to bring this new dining experience to Ka‘anapali,” adds Honda. A fresh cocktail program, extensive wine list and craft beer selections complement the menu. 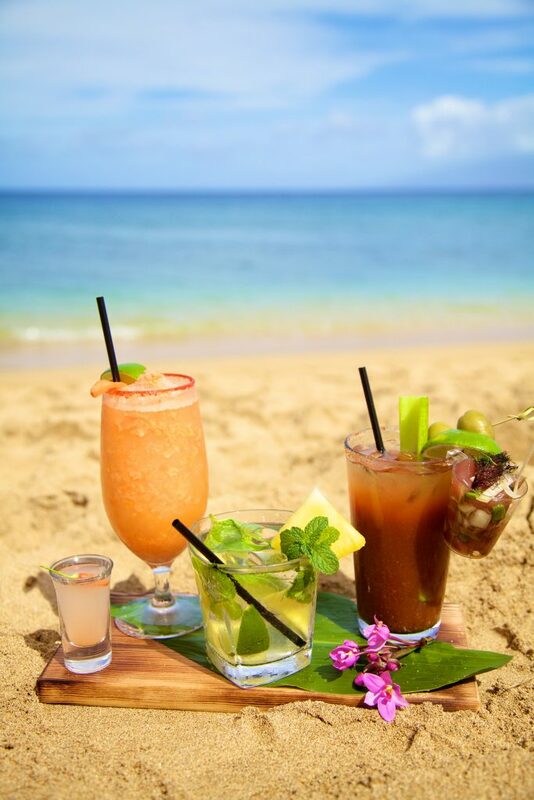 Developed by the resort’s Director of Restaurants and Bars Sarah Brown, featured cocktails incorporate Hawai‘i-produced spirits, house-made infusions, innovative syrups and shrubs, dehydrated garnishes and more. ROCKsalt is open daily for breakfast from 6:30-11 a.m., and for dinner from 5:30-9:00 p.m. Reservations can be made by calling 808-921-4600 or through Yelp Reservations. For more information, visit ROCKsalt’s website and Instagram at @rocksaltmaui.